The Career Achievement Award winners spoke candidly about the ups and downs of their acting careers. 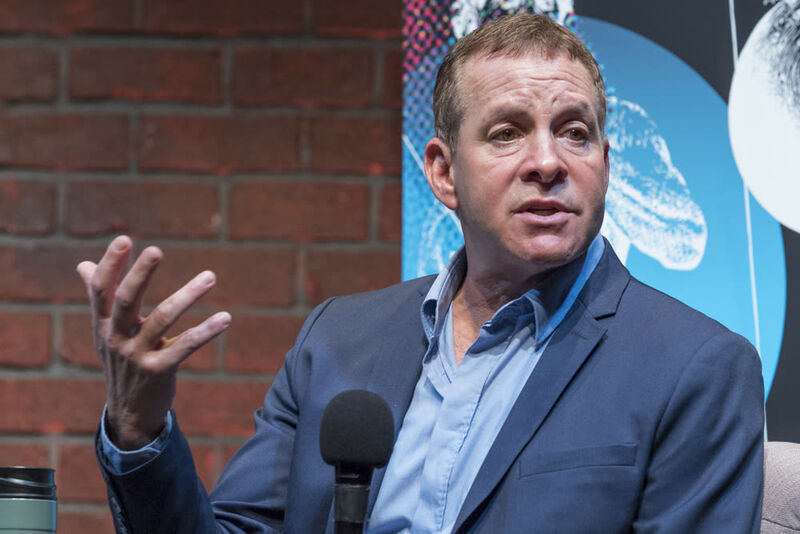 Actor Steve Guttenberg speaks in the Sarasota Film Festival's In Conversation With event. Actors Steve Guttenberg and Virginia Madsen spoke honestly and openly Saturday about the ups and downs of their careers in show business during two separate “In Conversation With” events as part of the 20th annual Sarasota Film Festival, in the setting of Florida Studio Theatre’s Bowne’s Lab Theatre. Guttenberg, known for his works in films from Diner to Cocoon to Police Academy, took the stage first, interviewed by writer Regina Weinreich. Born in Brooklyn, Guttenberg grew up there, in Queens and in Massapequa, Long Island, before leaving home at the age of 17 with $300 in his pocket, to try his luck in Hollywood. He said he still thinks about what it meant for his parents to allow him to do that, not knowing what might happen. Another note on the nature of an actor’s life Guttenberg related sprang from his time filming Ron Howard’s Cocoon in St. Petersburg. Veterans Hume Cronyn and Jessica Tandy were in the cast, and Guttenberg said he followed them around trying to soak up knowledge, asking Cronyn at one point for advice about the acting game. Cronyn promised to share some with him on the last day of filming, and Guttenberg waited excitedly to hear the older actor’s wisdom. “He leaned in and whispered to me, ‘Save your money,’” Guttenberg said. It’s been good advice to follow, he said, in a field where actors may have a hit one day and be out of work the next. He also admitted that he wanted to play the lead in the festival film he appeared in, Chasing the Blues. “I flew to Chicago to meet the producer and director, and I kissed their asses all day, but they said no.” They did, however, give him “a pivotal role,” one where he needed special equipment and make-up to look 20 years younger than his age. 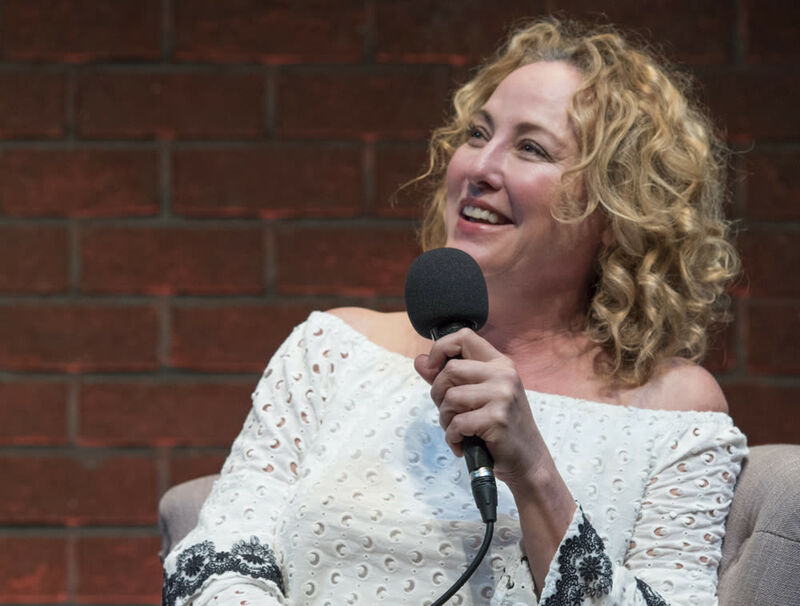 Virginia Madsen at an SFF In Conversation With event. Spending her childhood fascinated by older, black and white movies, often silents, she was also drawn to the classic monster movies starring actors like Bela Lugosi and Lon Chaney. She’s appeared over the years in a few herself, including the acclaimed Candyman, but says it can be hard to find good scripts in the genre today, adding that recent hits like Get Out and A Quiet Place might change that.